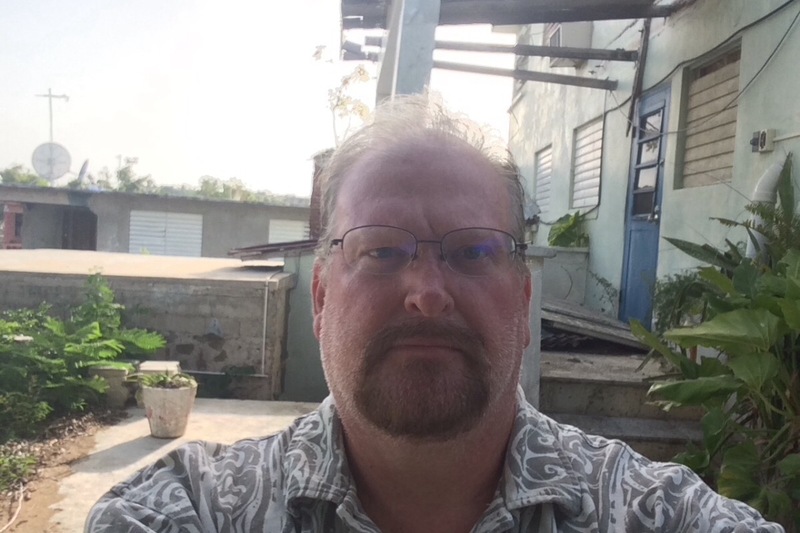 On September 19, 2017, I survived Hurricane Maria on the island of Vieques, Puerto Rico, but now I need help to remain here until my job returns. It has been nine months since the Category 5 storm devastated our Island and no one knew that the recovery would take so long. My home was severely damaged and I am working to restore it. Unfortunately, I have received no insurance payout nor have I qualified for any FEMA or SBA assistance. I am a 25-year resident of Vieques. I have been unemployed for nine months since my employer of the past four years, Trade Winds Guesthouse and Restaurant, was damaged in the storm, and is still in the process of repairs. They are not expected to open until later this year. My unemployment benefits ran out three months ago, and there is no hope of an extension. My savings have been depleted. I am currently receiving Food Stamps, but they do not cover utilities and living expenses. Nor do they cover items such as toilet paper or other personal hygiene products. I am a Type 2 Diabetic. However, my Medicaid does not cover the cost of diabetic test supplies, or the cost of about $200 that I must incur traveling to the main island if I need to see my Endocrinologist. I have been able to work part-time one day a week, but the hours do not even come close to helping me cover minimal living expenses. The job opportunities here are almost none existent, as a large portion of the population is in a similar situation. Moving away and returning later is not an option because of the expenses involved. My goal here is to raise enough to get me through these tough times until The Trade Winds reopens and I once again have a steady paycheck. I am grateful for any help. Please share this. Just wanted to give everyone an update, I am back to work, part-time, as we have just opened some of the rooms. It is something and I am finally getting caught up on bills and expenses. Its still going to be rough for the next couple of months, until our winter season starts, then I will be back full-time at work. I also wanted to thank everyone you donated through GoFundMe and privately, your donations are greatly appreciated, and helped me get through a difficult time.